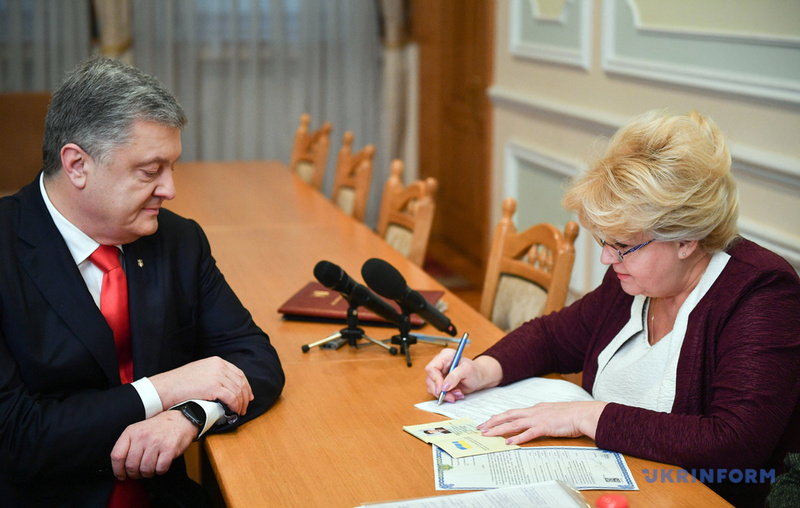 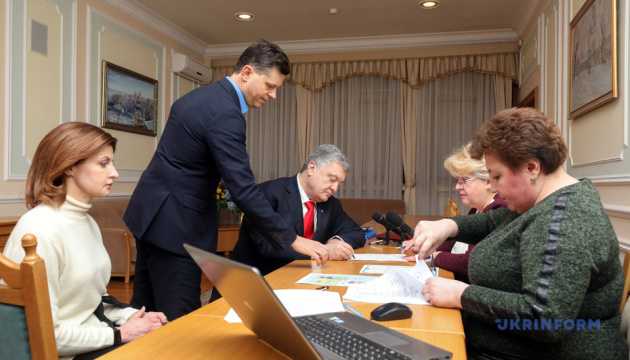 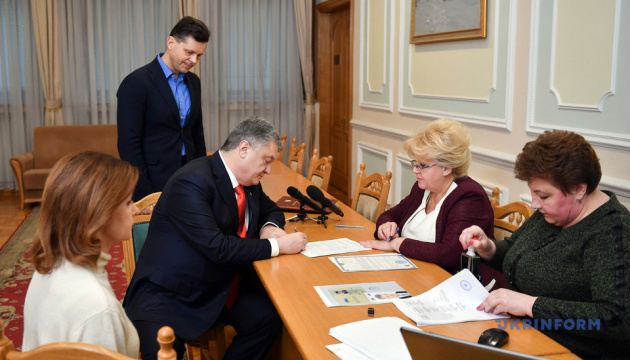 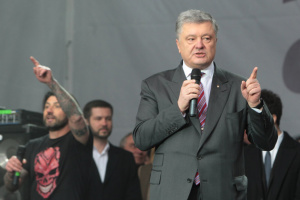 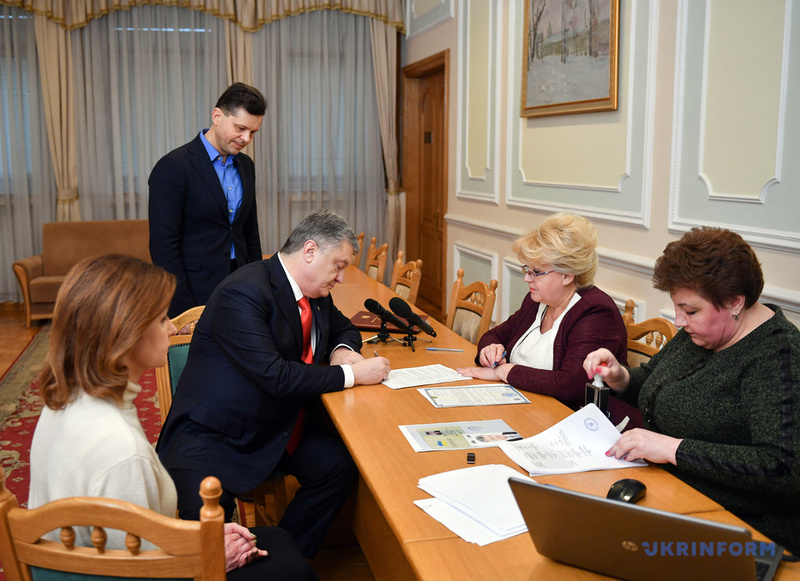 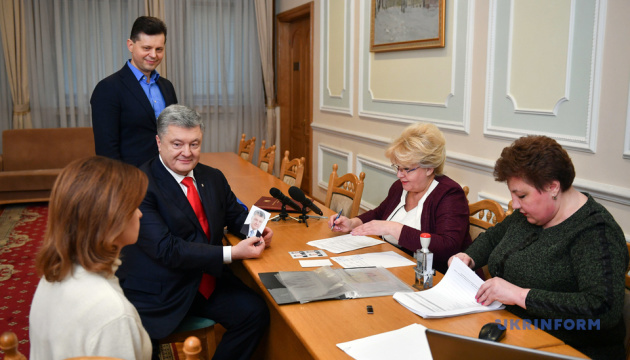 Incumbent Ukrainian President Petro Poroshenko has submitted documents to the Central Election Commission (CEC) to register as a candidate in the 2019 presidential election. 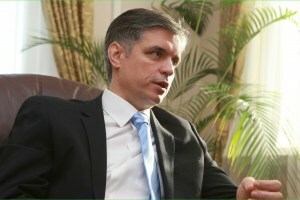 The press secretary of the head of state, Svyatoslav Tsegolko, wrote this on his Facebook page on Sunday, February 3. 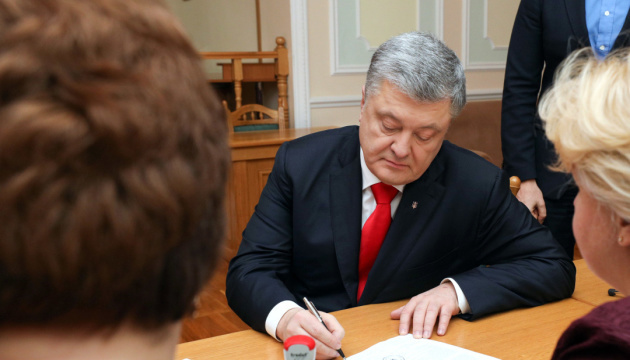 "On this festive day, Petro Poroshenko submitted documents to the CEC to register as a presidential candidate," he wrote. 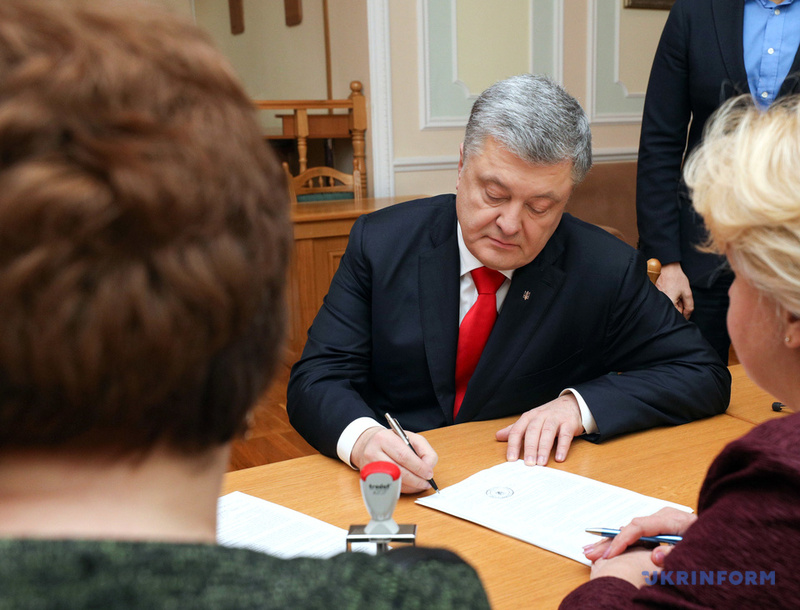 Early on Sunday, the president took part in the ceremony of enthronement of the primate of the Orthodox Church of Ukraine, Metropolitan of Kyiv and All Ukraine Epiphanius. 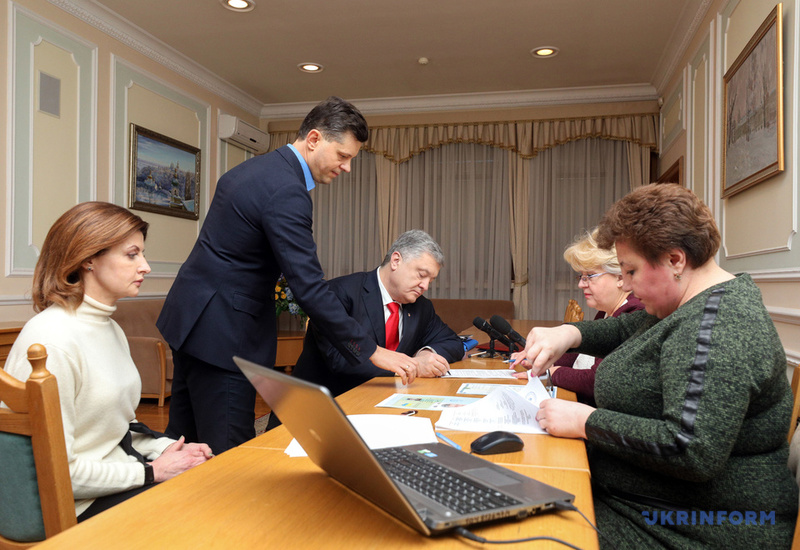 February 3 was the last day to submit documents for registration as a presidential candidate. 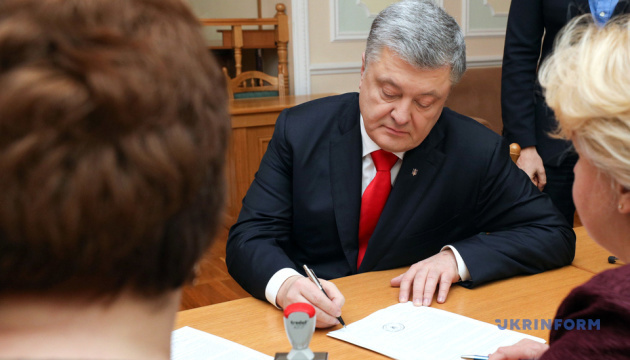 Presidential candidates will be registered until February 8 inclusive. 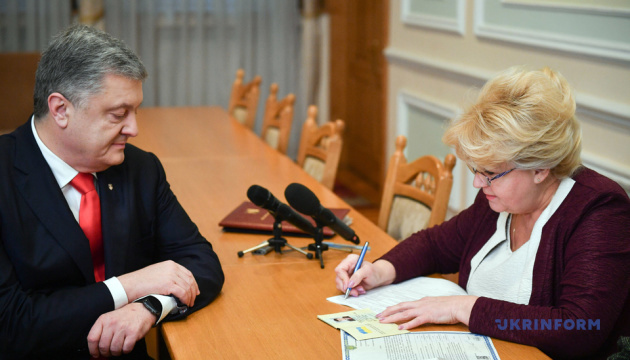 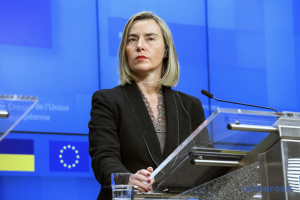 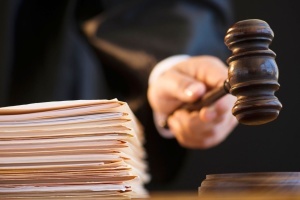 The CEC has currently registered 28 candidates for the post of the head of state, in particular, Ihor Shevchenko, Serhiy Kaplin, Valentyn Nalyvaichenko, Vitaliy Skotsyk, Andriy Sadovy, Vitaliy Kupriy, Yevheniy Murayev, Anatoliy Hrytsenko, Hennadiy Balashov, Olha Bogomolets, Oleksandr Shevchenko, Roman Nasirov, Yuriy Boiko, Oleh Liashko, Arkadiy Kornatsky, Oleksandr Vilkul, Yulia Tymoshenko, Dmytro Dobrodomov, Oleksandr Moroz, Illia Kyva, Ruslan Koshulynsky, Oleksandr Danyliuk, Serhiy Taruta, Volodymyr Zelensky, Ihor Smeshko, Inna Bohoslovska, Yuriy Derevianko, and Mykola Habera. 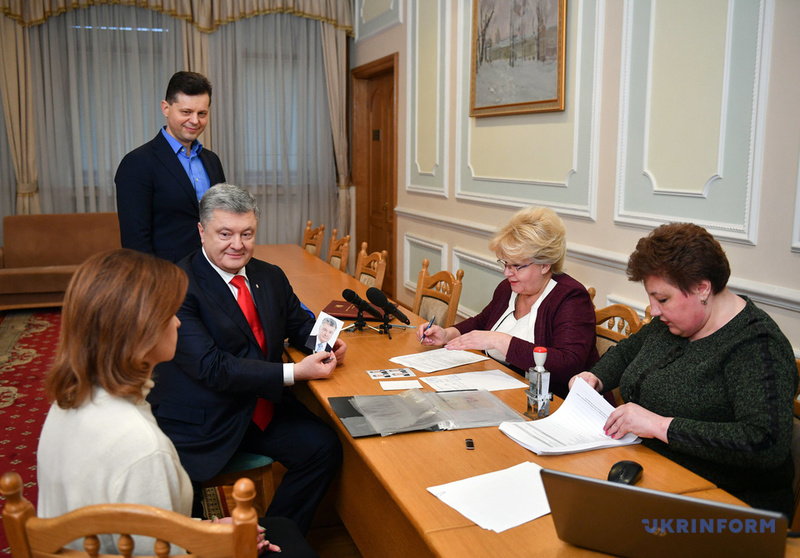 The election of the president of Ukraine is scheduled for March 31, 2019.